So what’s with me and cheese? Well, I’d like to tell you about my twenty years’ experience as the Herald Tribune cheese correspondent. Or the artisan mozzarella I perfected from my alpaca herds fed only on wild chervil on the slopes of Pen y Fan. I’d love to regale you with the years I spent building up my global restaurant franchise ‘The Big Cheese’, which I sold for millions, enabling me to retire to the Cotswolds. I would so like to impress you with my credentials and experience and general all-round cheese-expertise. But I can’t. Sorry about that. I just love cheese. That’s it really. I love the grainy tang of mature cheddar with a smear of chutney in thick white doorsteps of bread. I love the salty slabs of burnt halloumi that you pick off the barbeque at the end of the night when you’re a bit sozzled. I love the kind of blue cheese that runs off your knife half-way to your plate. And the kind of brie that sticks to your knife in a big gloopy blob. I love smoked cheese and cream cheese and goat’s cheese and nutty cheese and the floppy cheese that you can take out of your sandwich and chase people with. I even love the cheese-with-no-name that you buy at a French market but have to keep in sealed Tupperware in the outside toilet. All nice but could do better. 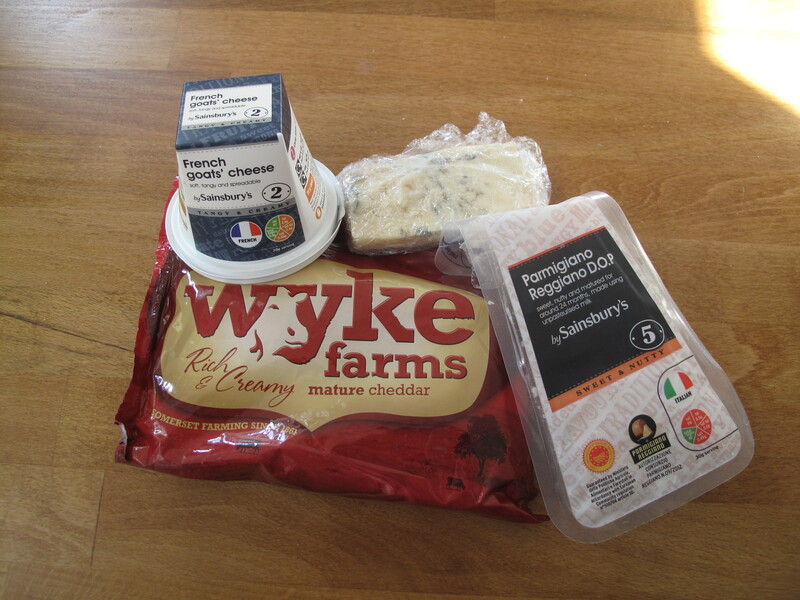 So this blog is about cheese in all its glory. I want to find out more about cheese, to try different cheeses. I’ll post some recipes. I might try making cheese (with no doubt hil-a-rious results). I’ll try and answer some of the burning cheese questions of our times. What makes the perfect cheeseboard? How come mouldy cheese good/mouldy bread bad? Is cheese and chicken ever right? What’s the difference between brie and camembert? Can you make human cheese (just in case anyone’s excited by that, I am not going to try)? And I’ll look at the weird cultures (cultures – geddit?!) and subcultures that exist around cheese. After all, what other food can inspire sporting events, art forms and just about a million sayings and aphorisms? Look, I’ll even find an excuse for some videos of funny goats. And you can’t say fairer than that, can you?